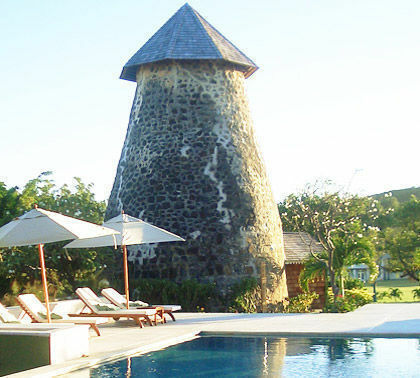 For those who like pampering and privacy, Family Travel Forum examines The Cotton House, located on a tiny but very chic island near Grenada in the British West Indies. 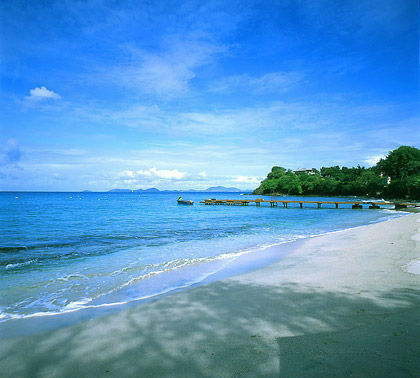 The chic Caribbean island of Mustique is a tiny speck of land hidden between Grenada and St. Vincent that has long been the preferred retreat of international celebrities (David Bowie, Mick Jagger and Princess Margaret have resided here) who come to enjoy its privacy, beauty, and laid-back ambiance. The Cotton House is the island’s only hotel; if you want even greater spaciousness and seclusion you can rent one of the 50 sumptuous, fully-staffed villas scattered throughout the island. 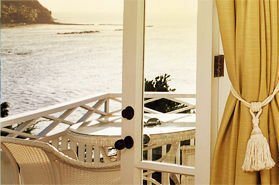 Poised right at the edge of the calm aquamarine sea, the Cotton House has just 20 luxurious rooms, suites, and cottages. Well-suited for the family of any age but ideal for those with babies and toddlers, it offers special private nanny services to its clientele. Families with infants can add a crib to any of the guest rooms, but larger families will be most comfortable in the two-room deluxe suites. The hotel knows personal pampering means a lot to its glamorous guests: staff members unpack and press your clothing upon your arrival at no charge, and there’s a “pillow menu” of nine choices, including a special maternity pillow for the comfort of expectant mothers. If you tire of tanning poolside or on one of the resort’s 9 secluded beaches, a watersports and dive shop can arrange more active fun, and a sailing yacht is available for private excursions. Other island activities include sunset horseback rides, tennis, and hanging out at Basil’s Bar, the hip place to see and be seen. First class restaurant and a lavish English tea. This glamorous and exclusive hideaway island is a home-away-from-home to a glittering cast of celebrity habituÃ©s.